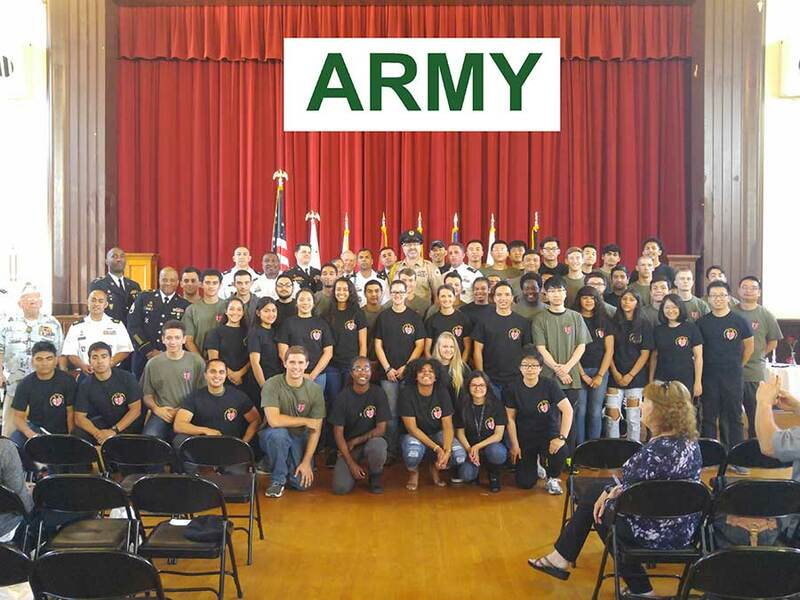 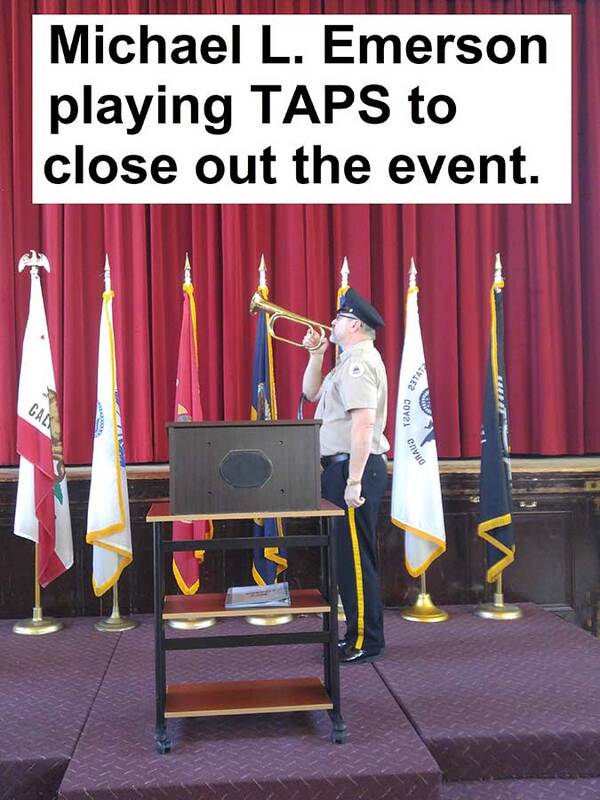 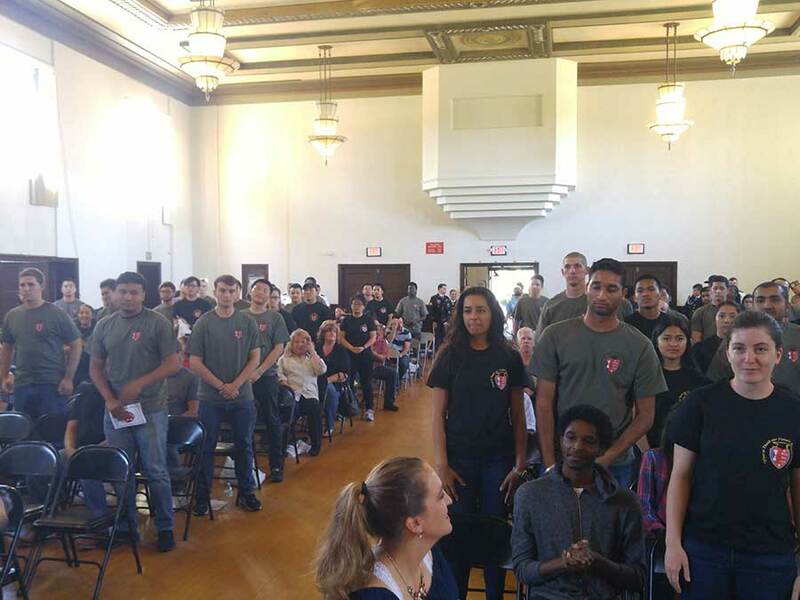 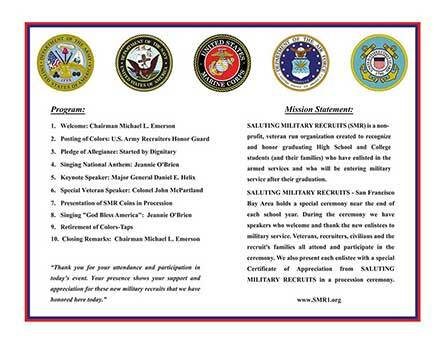 SALUTING MILITARY RECRUITS - San Francisco Bay Area holds a special ceremony near the end of each school year. 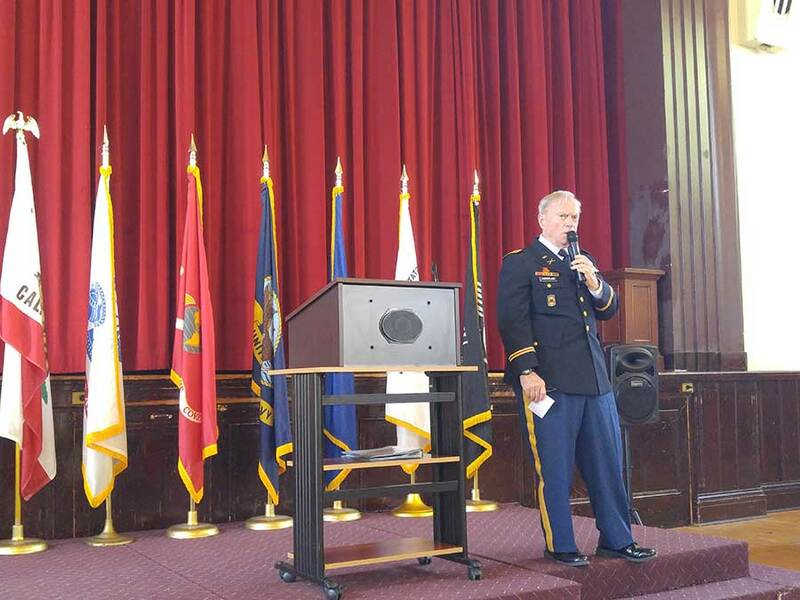 During the ceremony we have speakers who welcome and thank the new enlistees to military service. 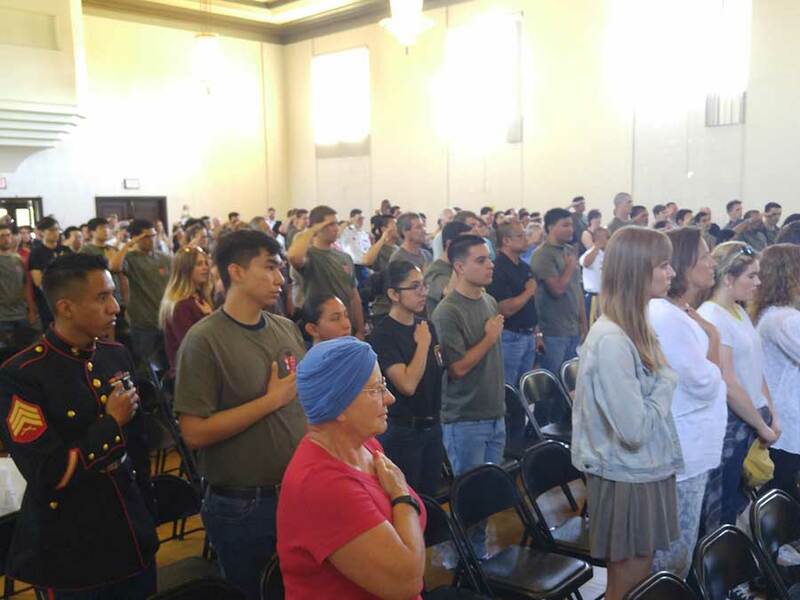 Veterans, recruiters, civilians and the recruit's families all attend and participate in the ceremony. 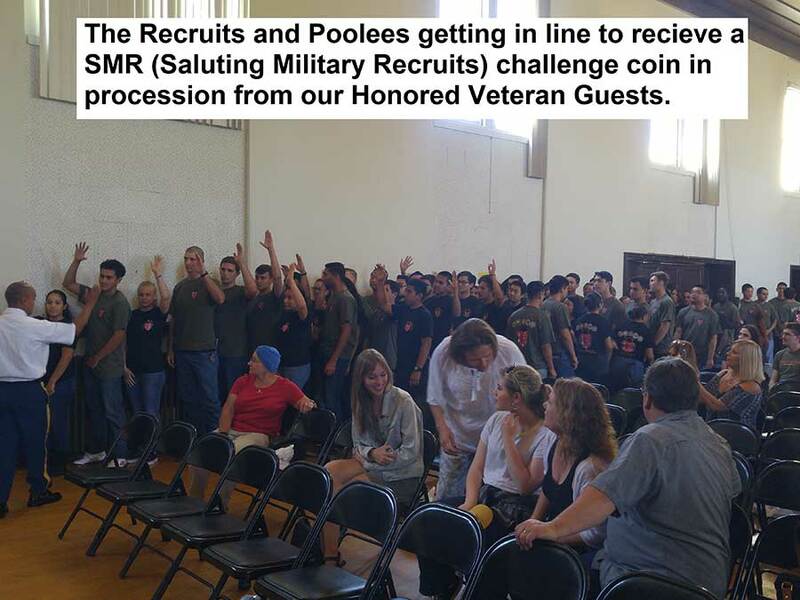 We also present each enlistee with a special SMR Challenge Coin from SALUTING MILITARY RECRUITS in a procession ceremony. 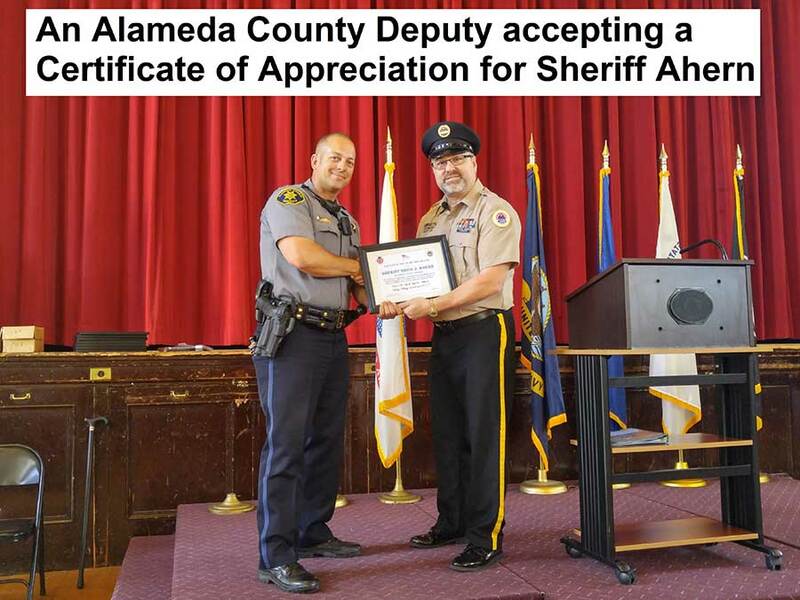 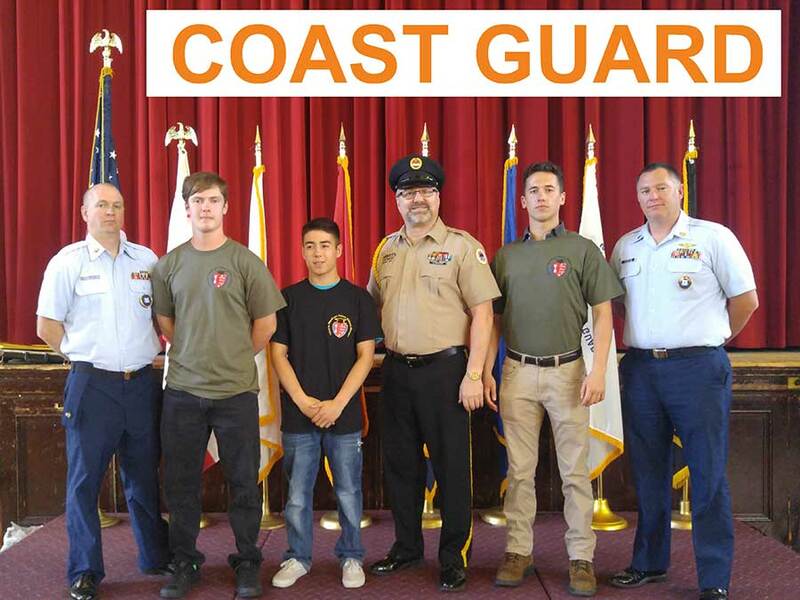 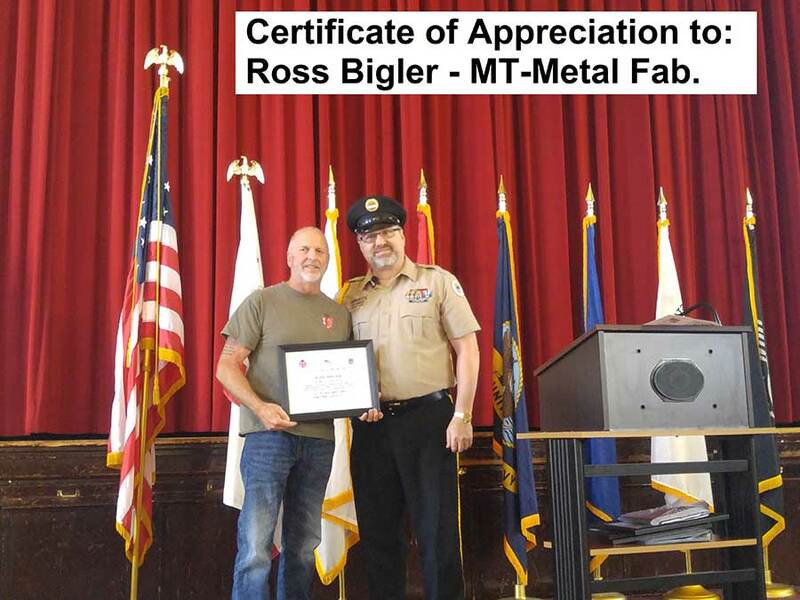 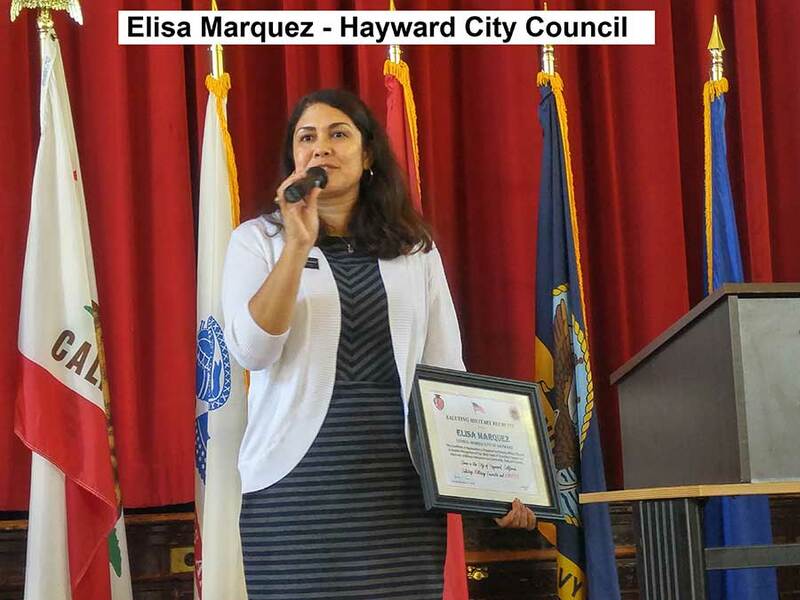 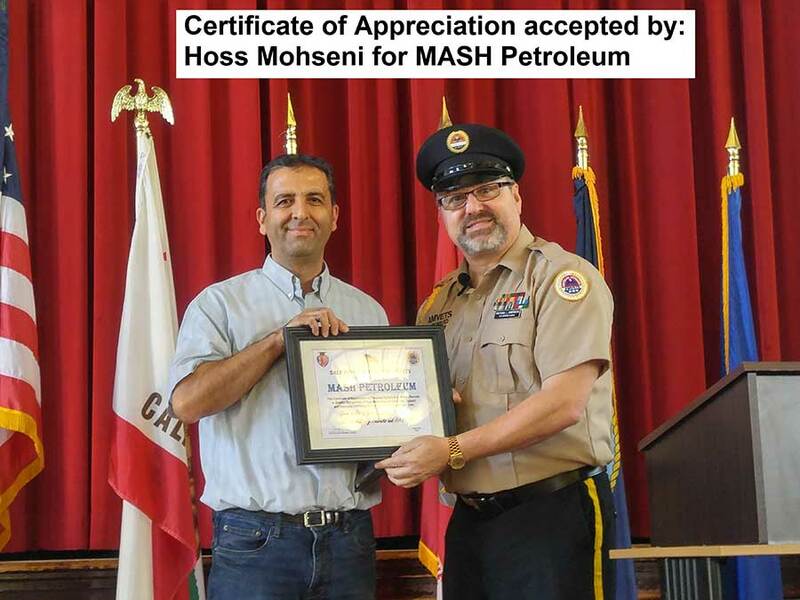 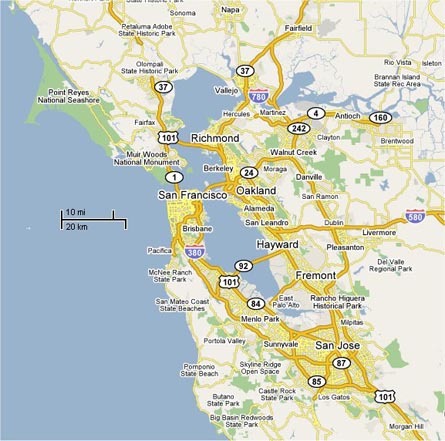 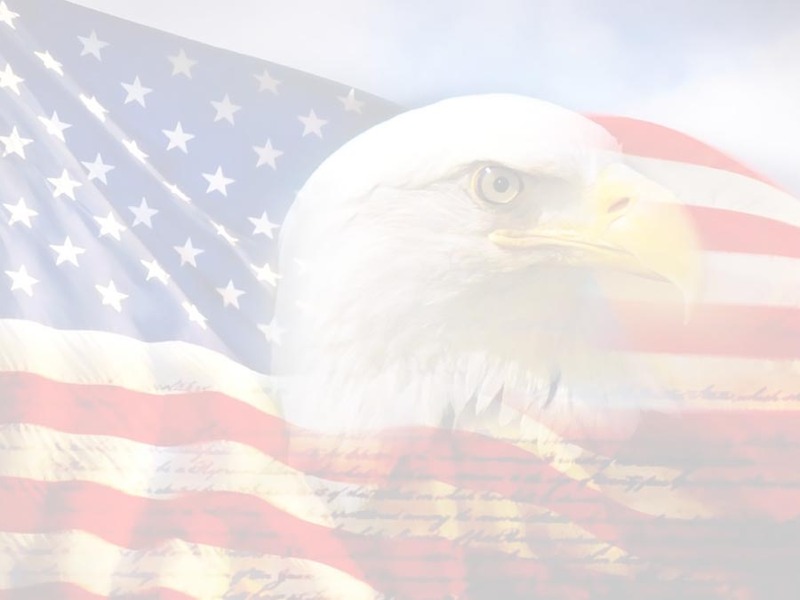 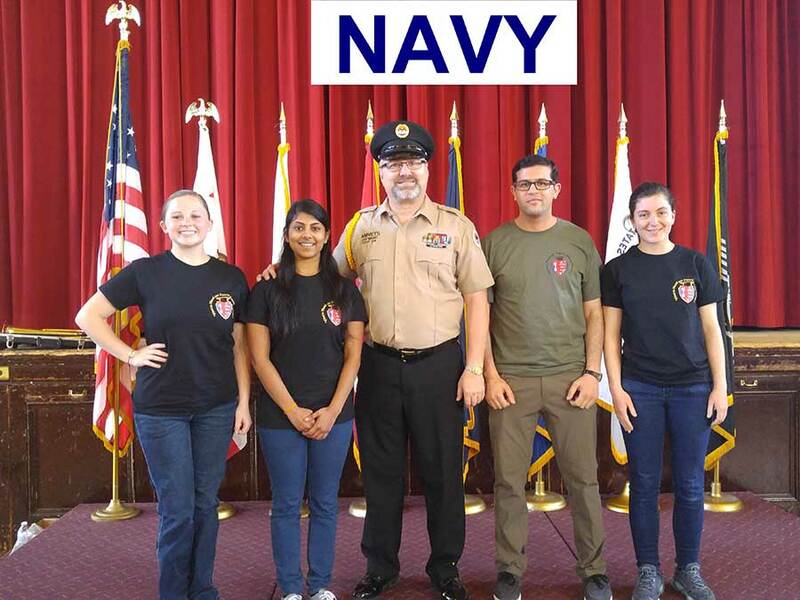 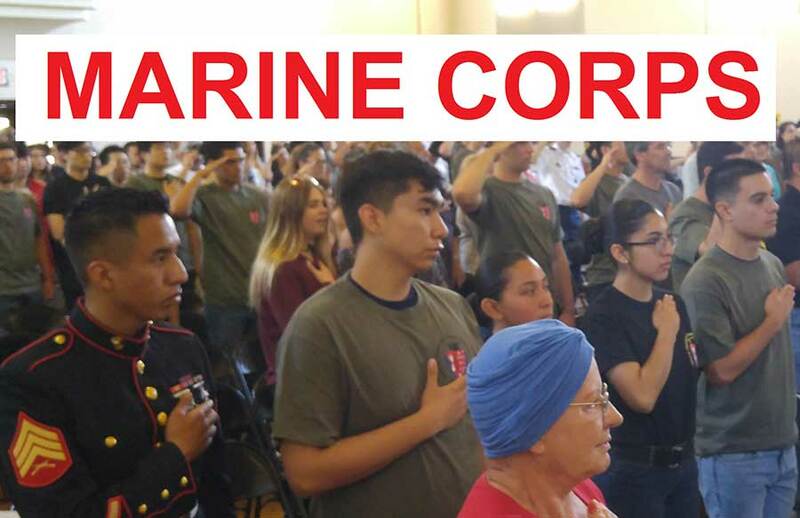 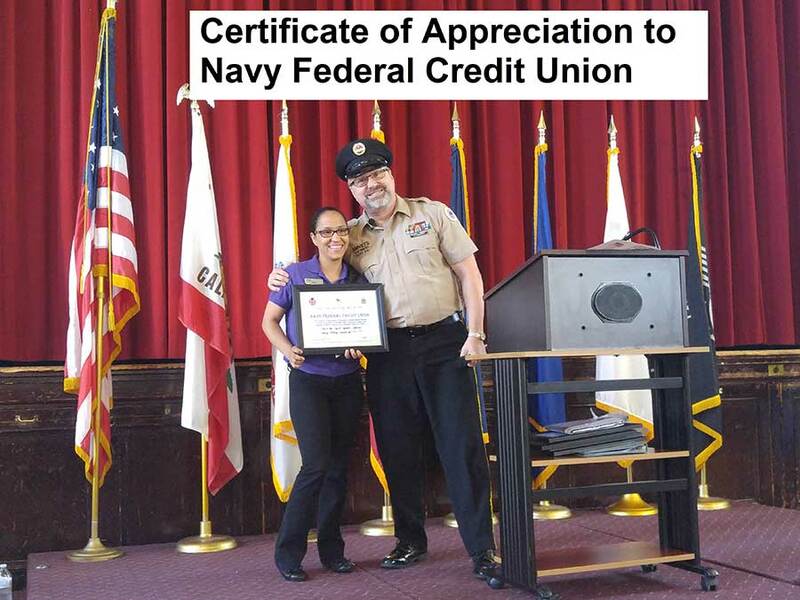 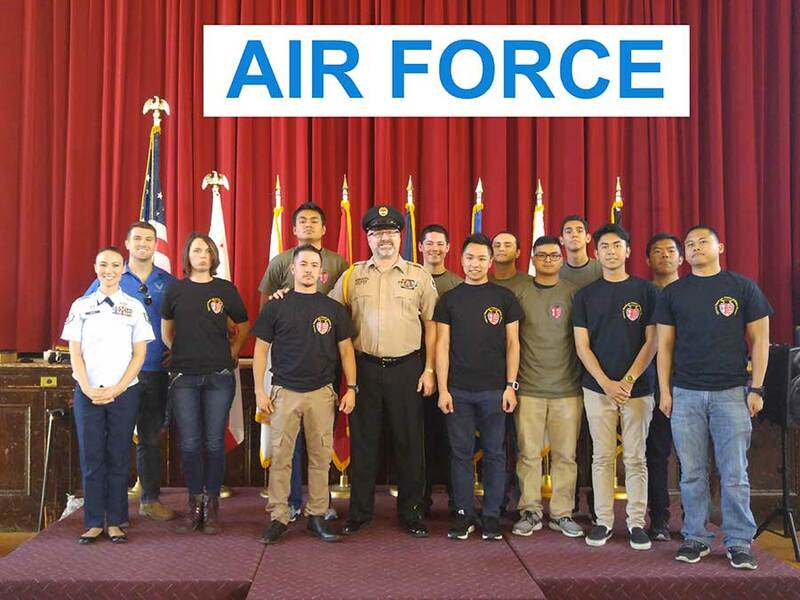 We are able to do this because of the generous help of local recruiters from each branch of the service, local veterans, active duty military, local politicians and local civilian supporters from the San Francisco Bay Area community. 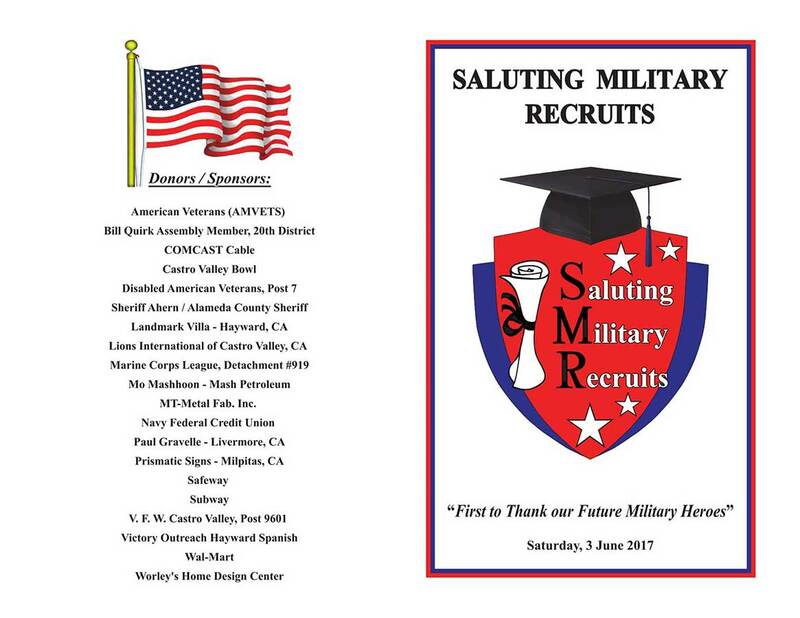 For the date and time of our next event, please look over our SMR web page. 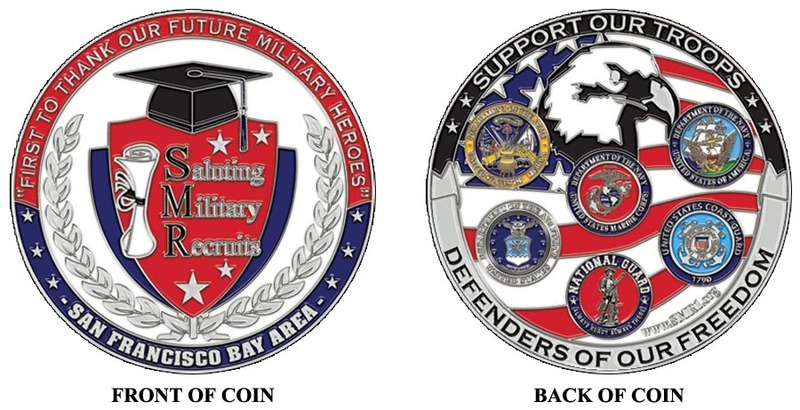 Printing services, graphic art, drinks and appetizers during the event, and financial donations. 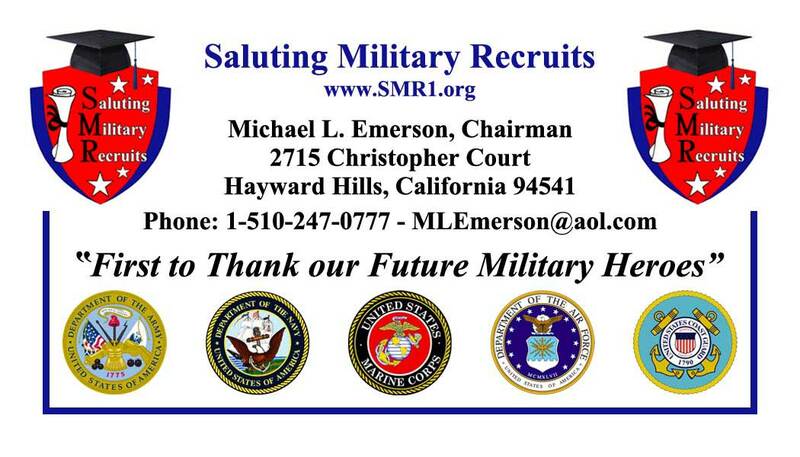 If you are interested in donating, attending and helping us with our next event, please contact our Chairman Michael L. Emerson, at: Michael-Emerson@outlook.com PLEASE HELP US TO BE THE FIRST TO THANK OUR NEW FUTURE MILITARY HEROES FOR DEFENDING OUR COUNTRY AND KEEPING US SAFE AND FREE. 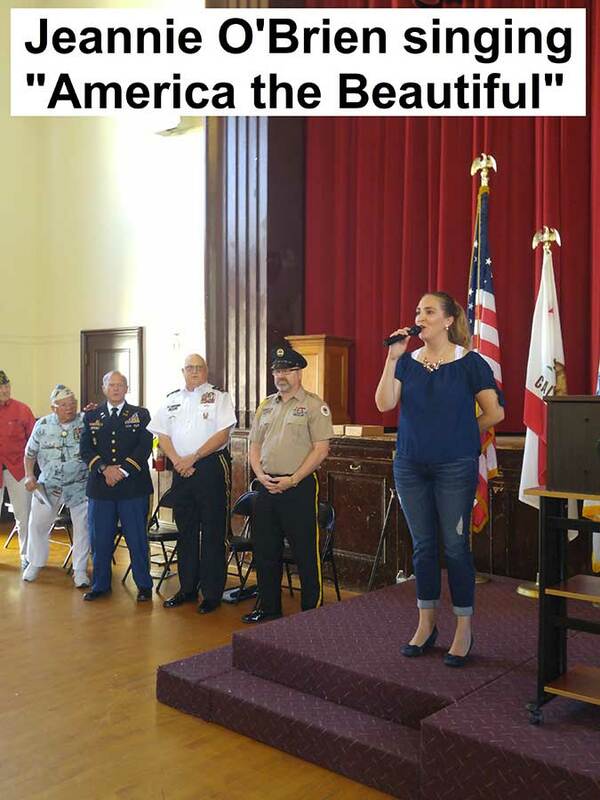 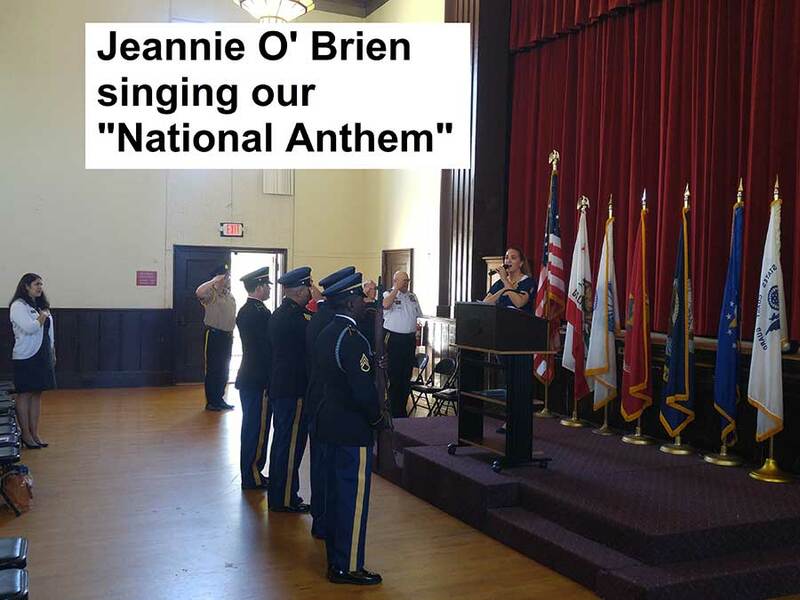 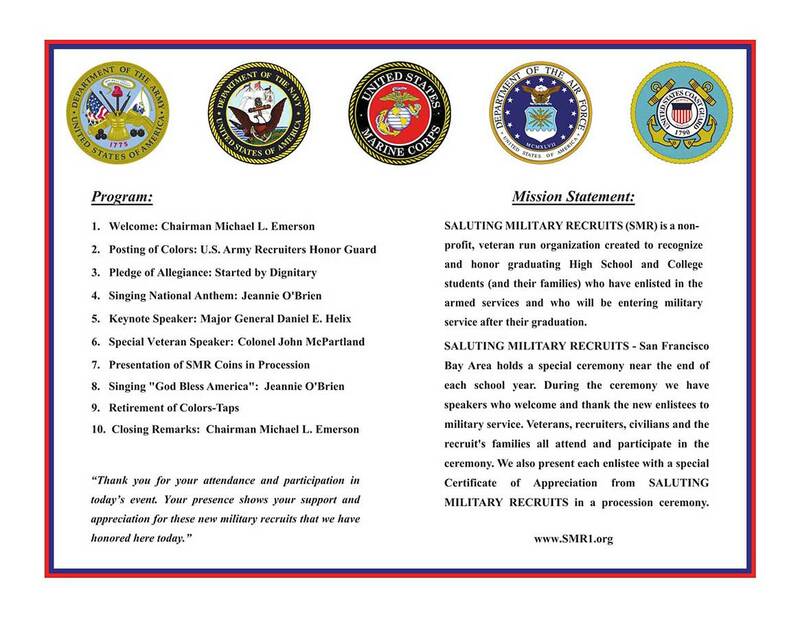 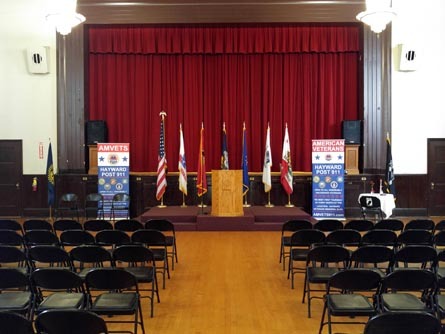 American Veterans (AMVETS) had our 5th Annual "Saluting Military Recruits" (SMR) event. 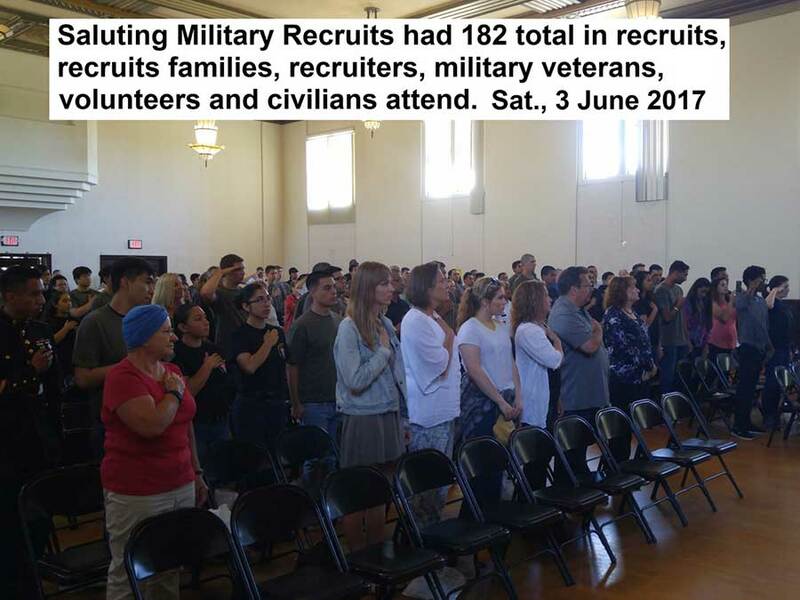 182 Veterans, Recruits, Families, and Recruiters attended. 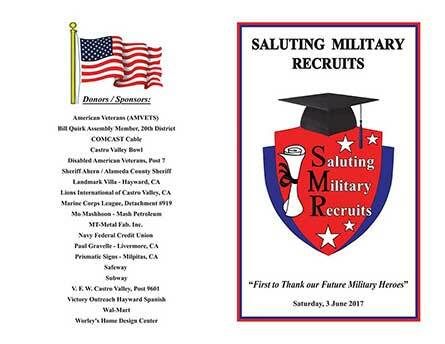 Each recruit received a free SMR t-shirt. 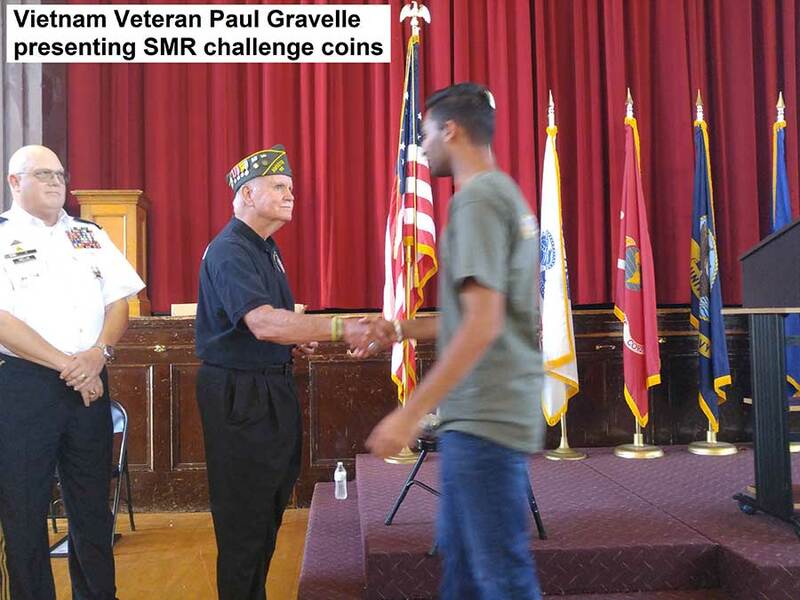 Plus during the procession ceremony each recruit was presented a free SMR military challenge coin. 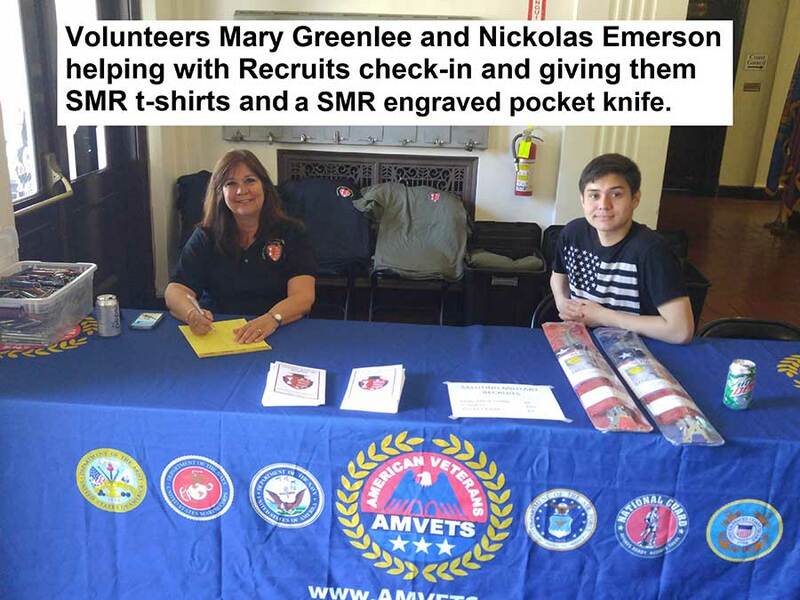 The SMR organization also supplied free drinks, subway sandwiches and snacks to all who attended. 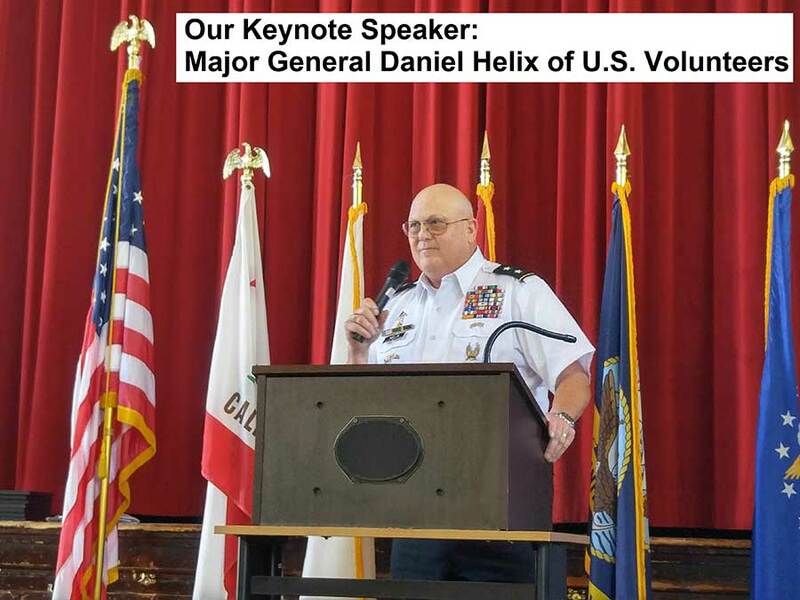 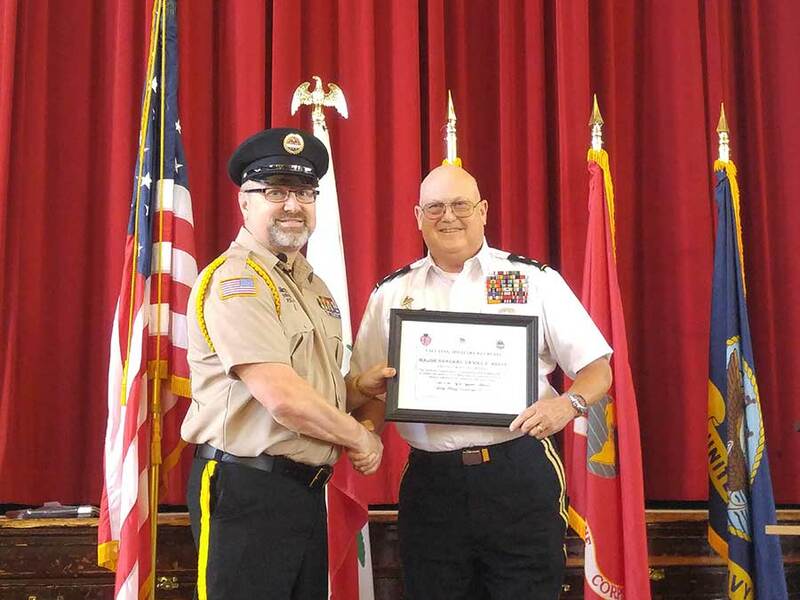 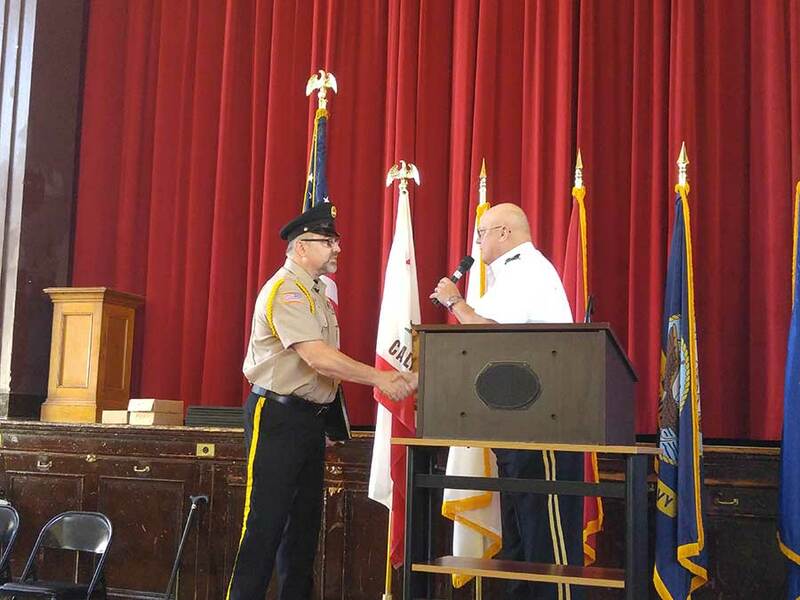 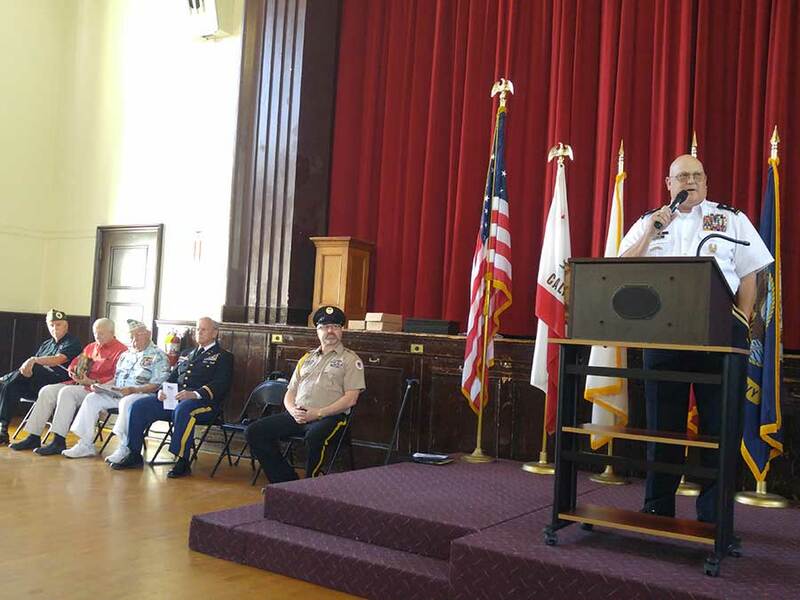 Founder/Chairman of SMR and the Emcee of the event was AMVETS Hayward Post 911 Commander Michael L. Emerson (wearing his AMVETS Honor Guard uniform). 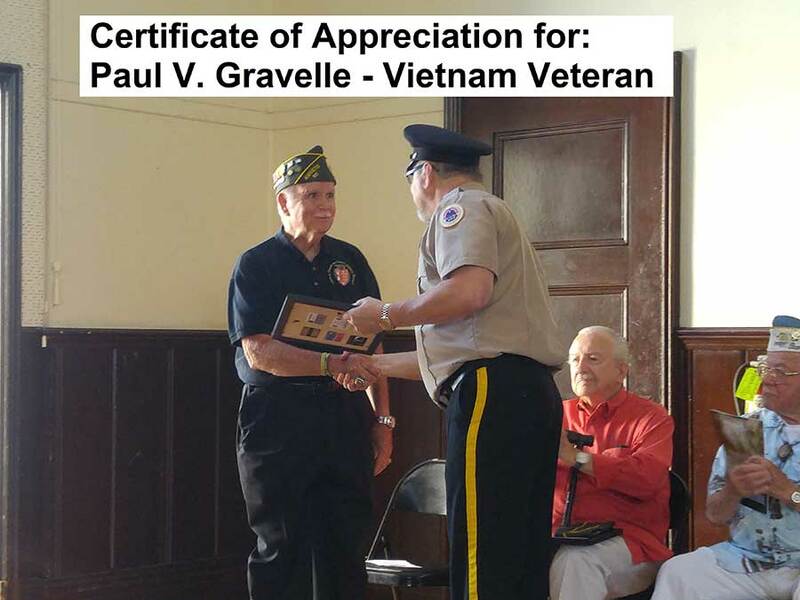 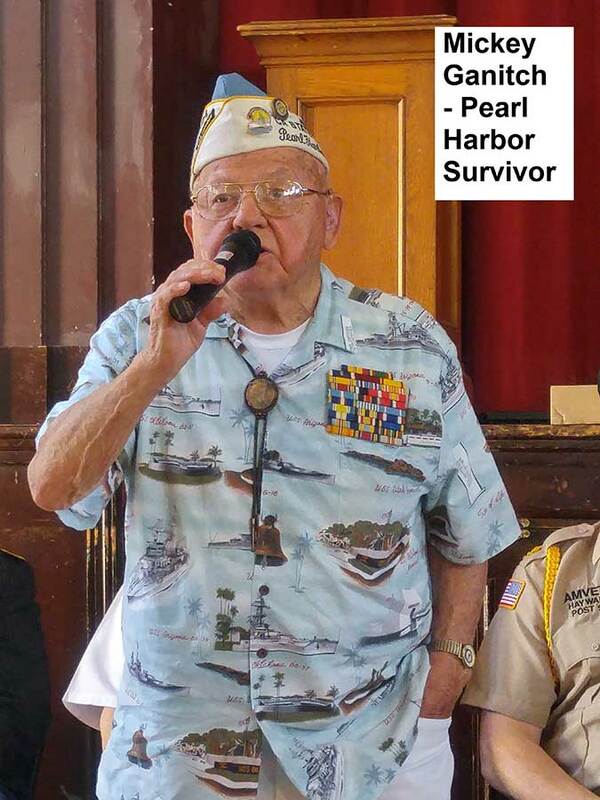 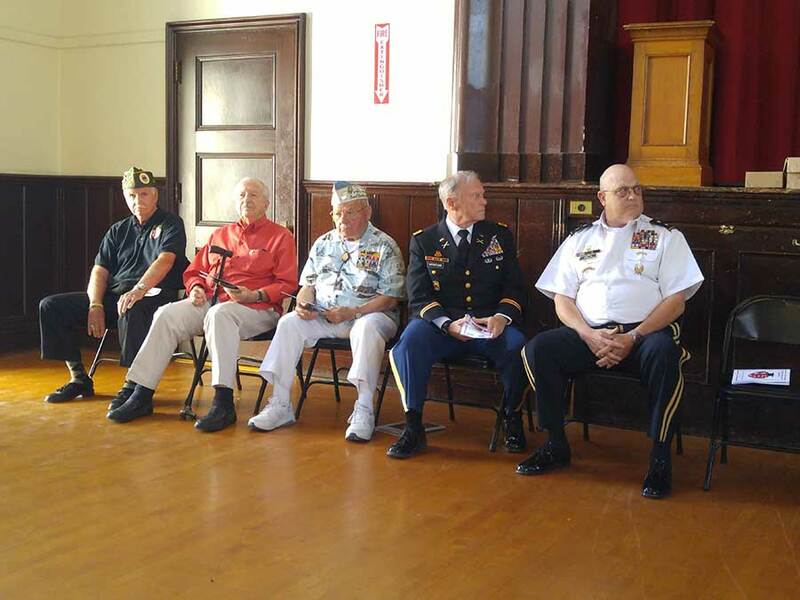 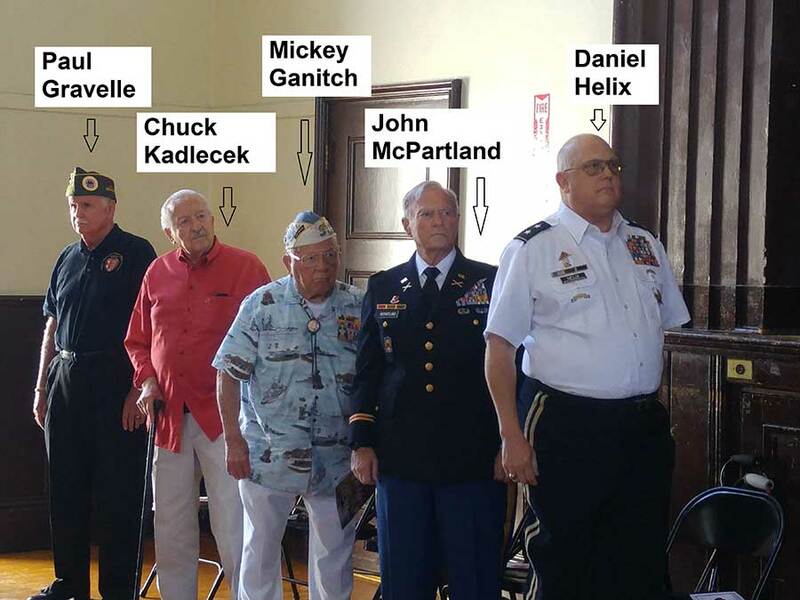 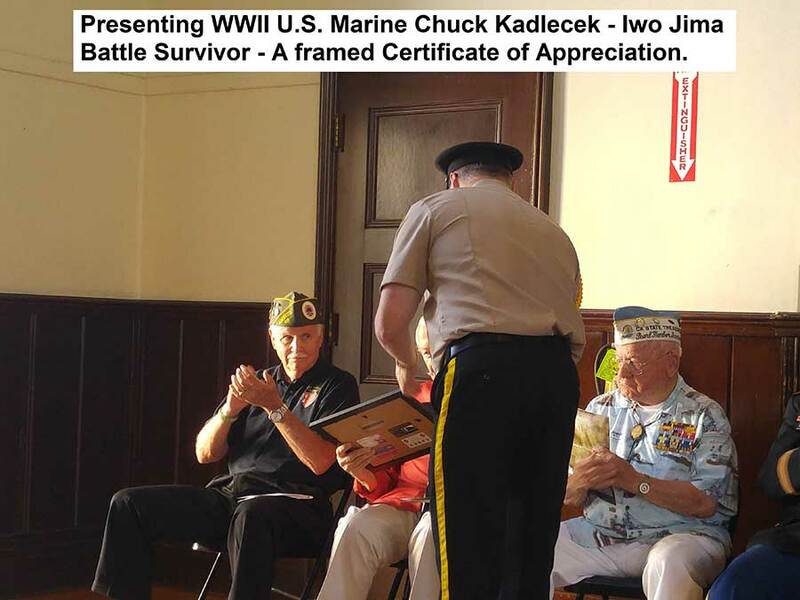 Special veteran guests were: Navy Pearl Harbor Survivor Senior Chief Mickey Ganitch, IWO Jima Battle Survivor Marine Corps Corporal Chuck Kadlecek, Army Vietnam Veteran Paul Gravelle, Major General Daniel E. Helix - U.S. 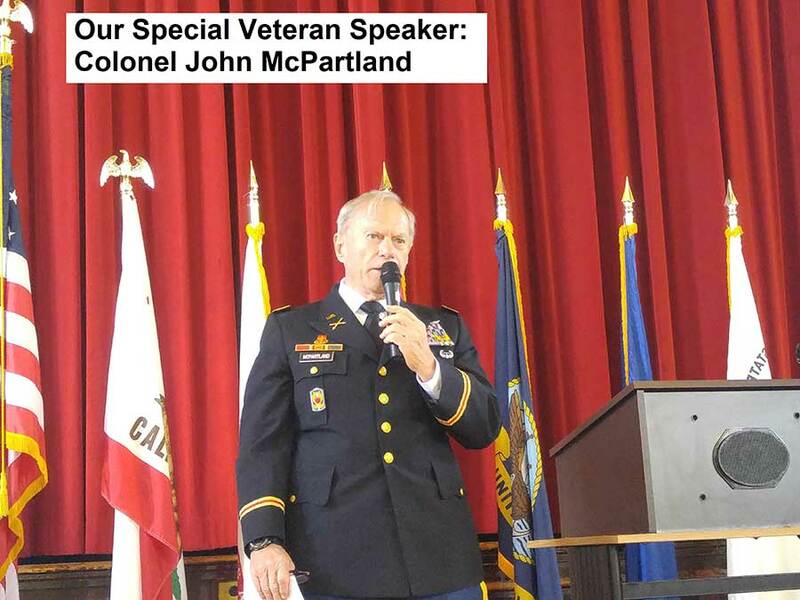 Volunteers, and retired Army Colonel John McPartland and current BART Director (Vietnam & Desert Storm Veteran). 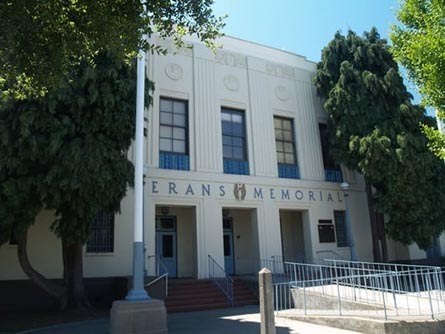 Hayward Veterans Memorial Building in Downtown Hayward, California. 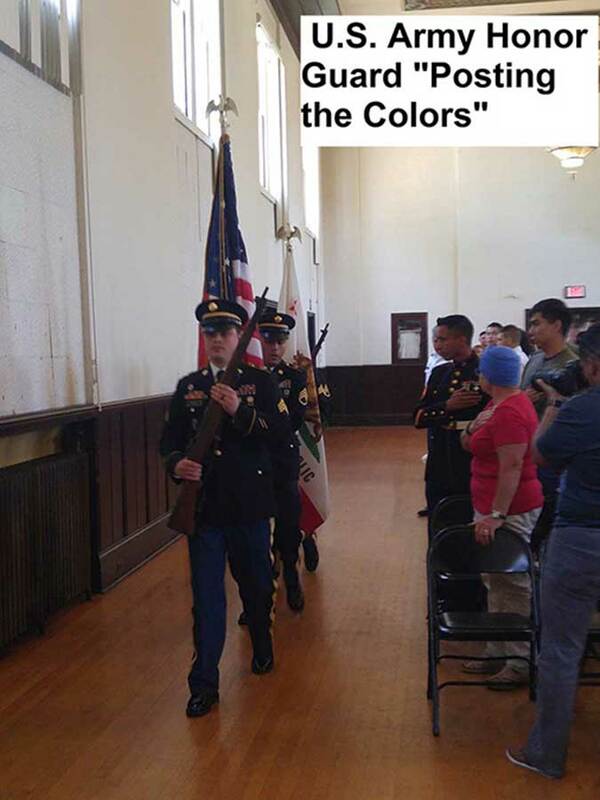 Saturday, 3 June 2017.